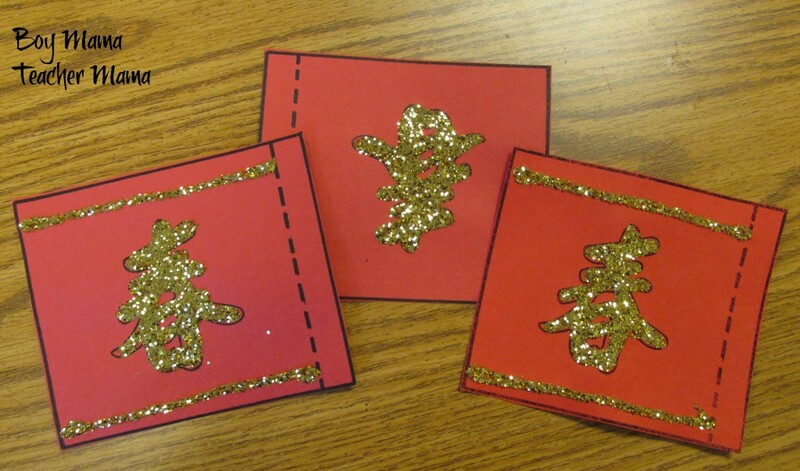 Firecrackers are a traditional part of the Chinese New Year’s festivities. The firecrackers are set off at midnight to celebrate the new year as well as to drive away evil. It is believed that the person who sets off the fireworks will have good luck in the new year. 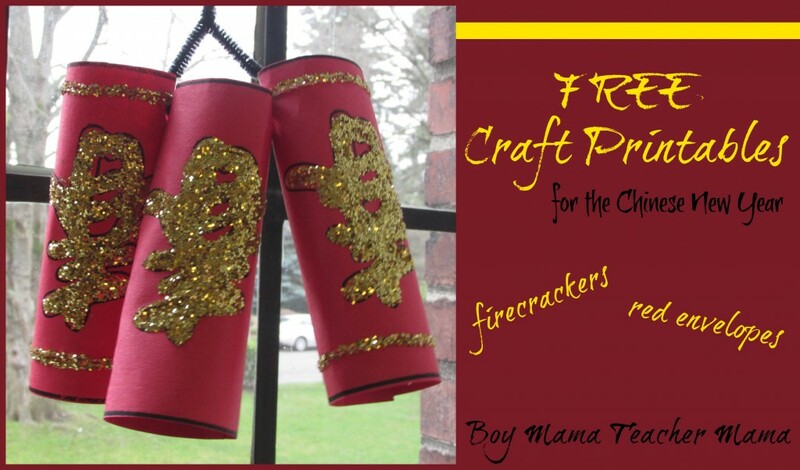 Since we cannot really set off fireworks, we have created our own decorative fireworks to display in the home or classroom. Print the template on red craft paper or construction paper. 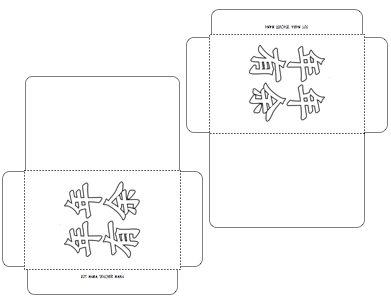 Each student should receive three templates to decorate. 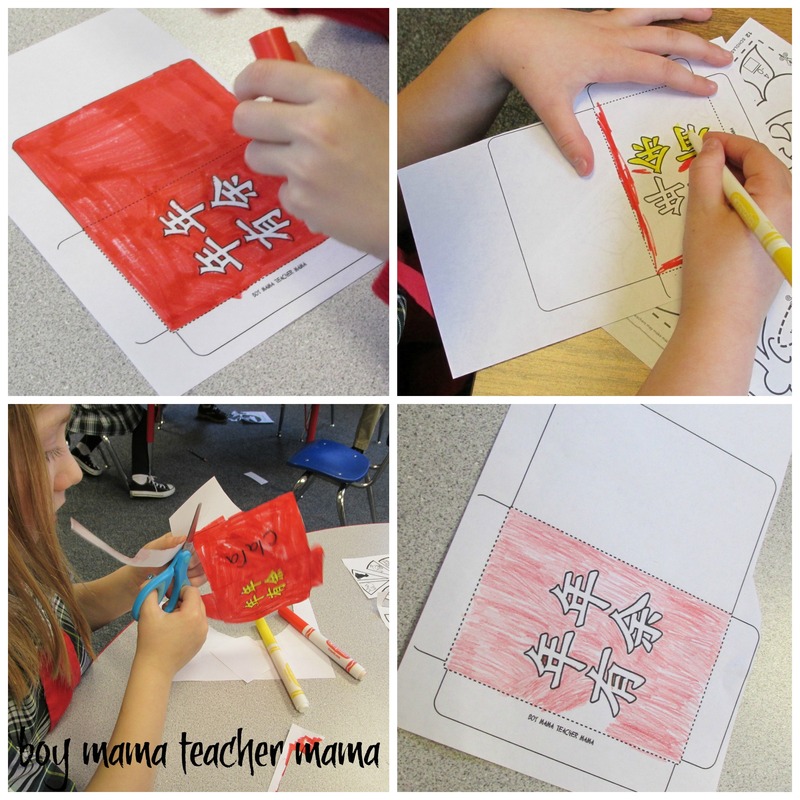 Cover the image on the paper with Elmer’s Glue. 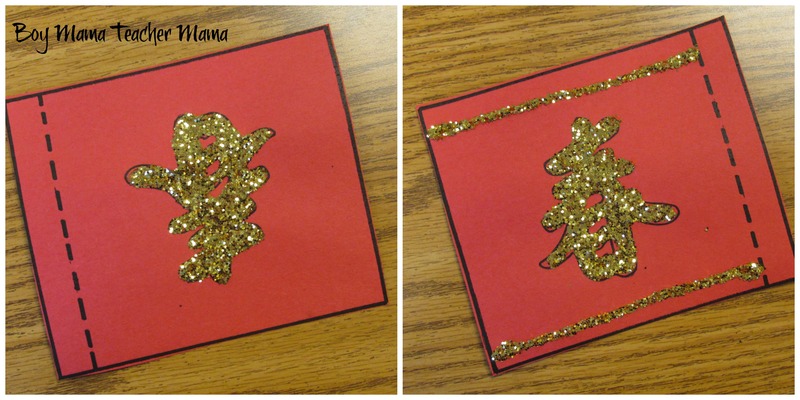 Cover the glue with gold glitter. 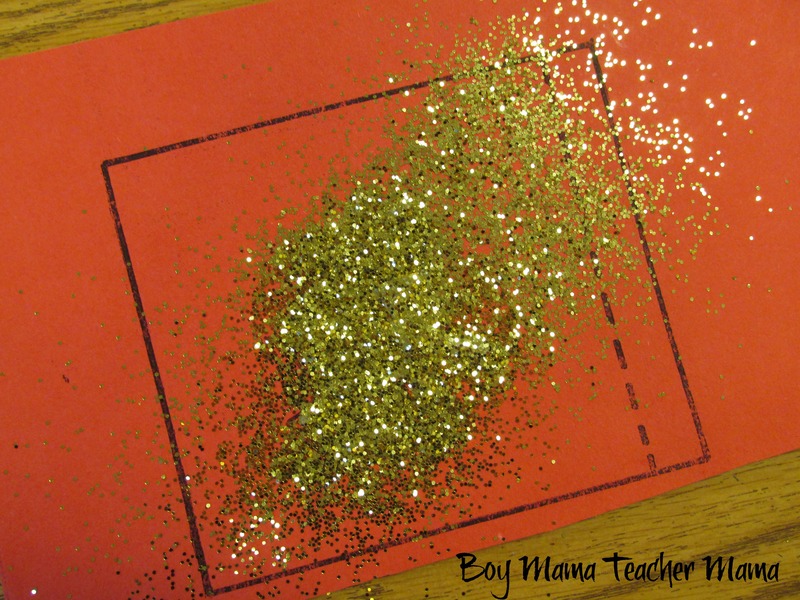 Shake the excess glitter from the paper. Students can add a gold stripe across the top and bottom of the template or leave it as it. 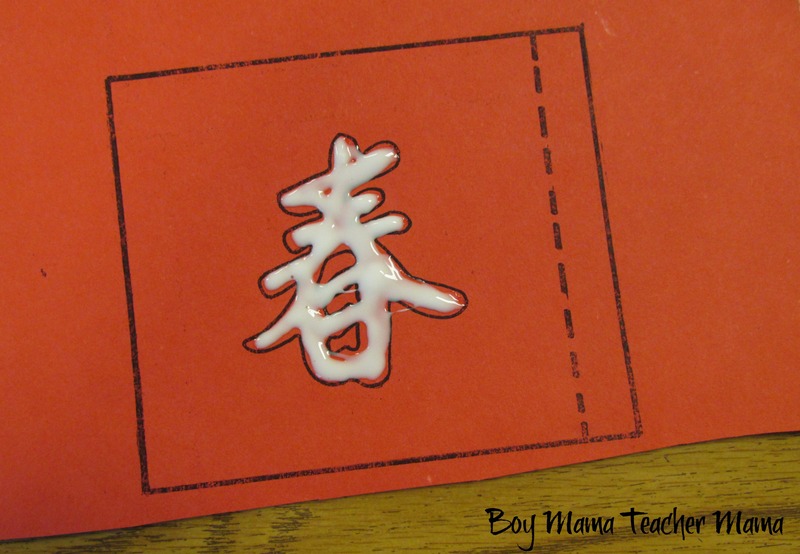 Put glue on the template between the dotted line and the edge of the paper. 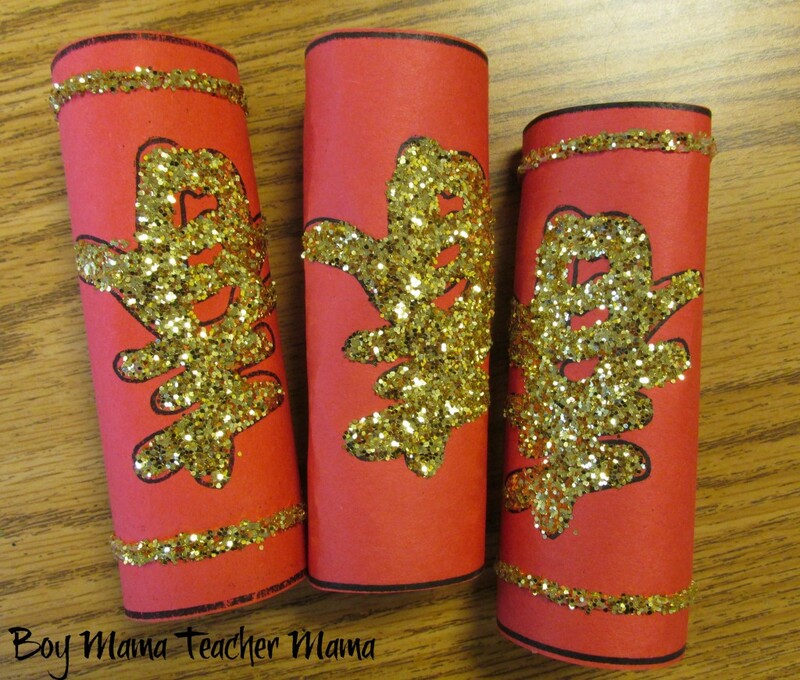 Roll the template up to create cylinder shapes. 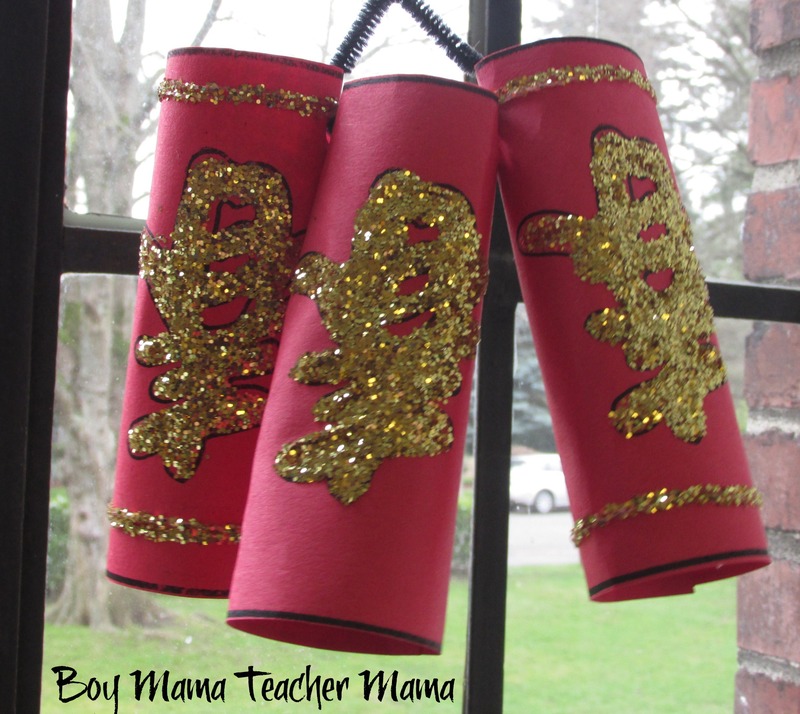 And now your firecrackers for the Chinese New Year are done and ready to display. 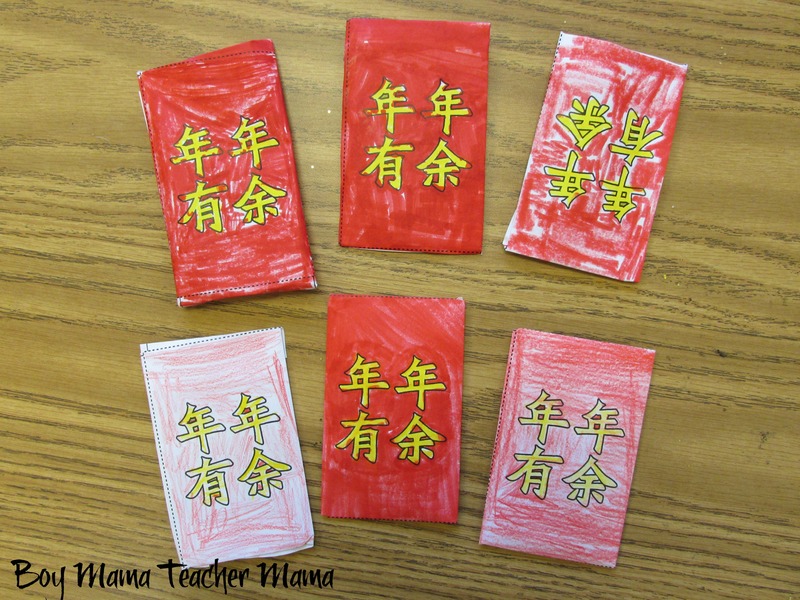 Money is placed inside the red envelope and given to young children for the New Year. The money inside the envelope is believed to keep evil from the children and keep the children healthy and long living. 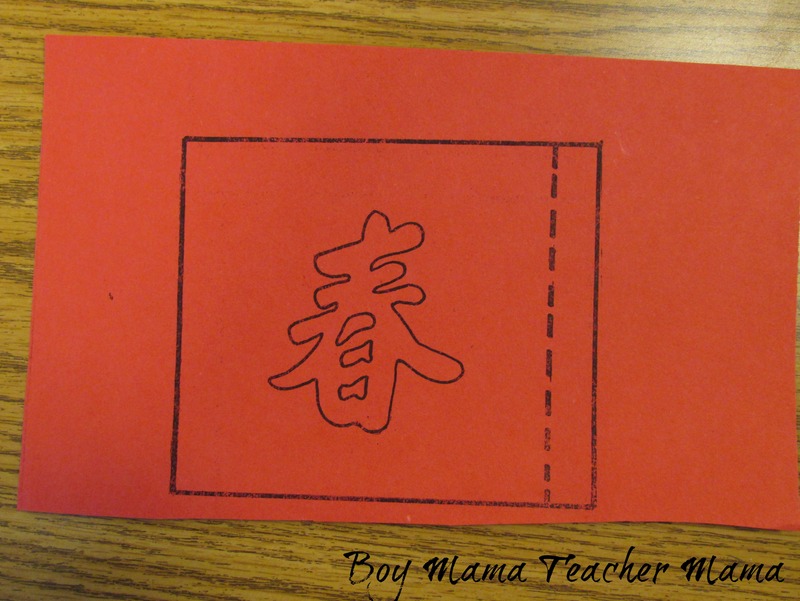 Print the templates on red paper, fold along the dotted lines and affix with glue or tape. 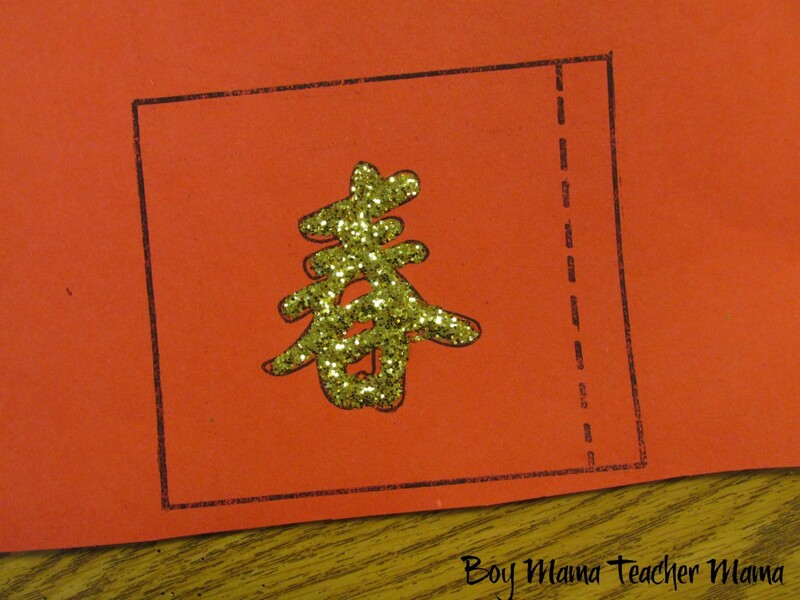 Print pretend money (or use the real thing) and give the envelopes to others for the new year. What a neat Chinese New Year Craft! This is awesome Stephanie, it’s funny because Isaiah’s been making homemade dynamite for years. I’m wondering if he’ll “allow” me to transform it into a craft. btw. I started a new blog dedicated to his Isaiahisms it’s isaiahdotcom.wordpress.com you can see one of his homemade dynamite photos on the front! I’m gonna be better about pinning you from now on! Such a wonderful activity! 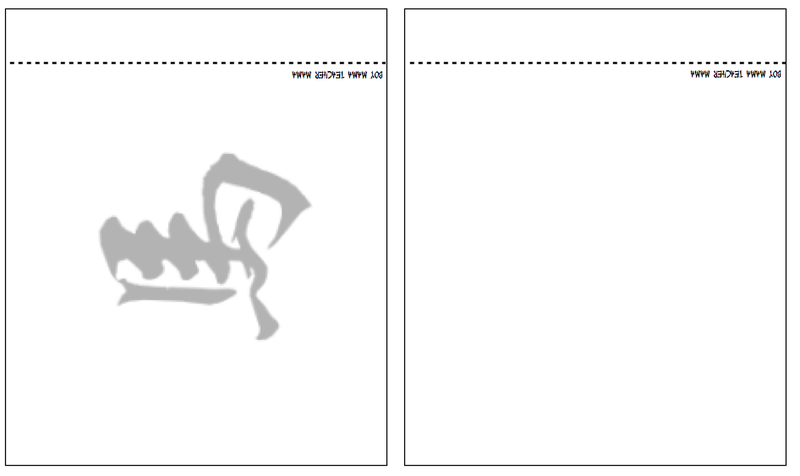 Love the printable too. Pinned. Thank you for sharing.